Home Jawazat and MOI MOI Account (Abshir Services) How to check “Sponsor ID” through MOI Account? Sponsor ID Is a number given to every business by the Ministry of Labor for the identification purpose. It is normally a 10 digits code just like your Iqama number. 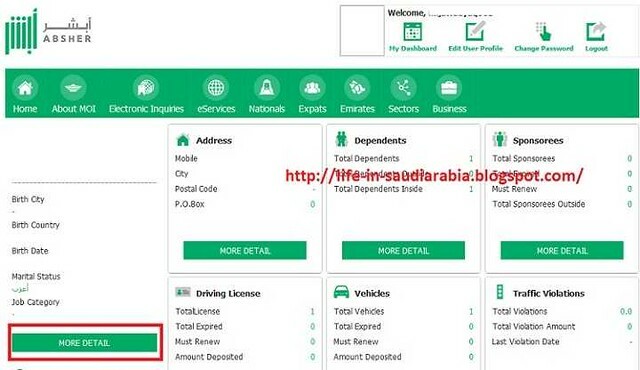 As your Iqama Number is used for your identification, Sponsor ID is used for the identification of your employer. Why do we need Sponsor ID? We might need it for several reasons. I have noticed that while applying for some visas especially during the Procedure to Apply for E-Visa of UAE (Dubai) for GCC Resident. You also need this ID while applying to Renew Saudi Driving License in Saudi Arabia. How to Check Sponsor ID? 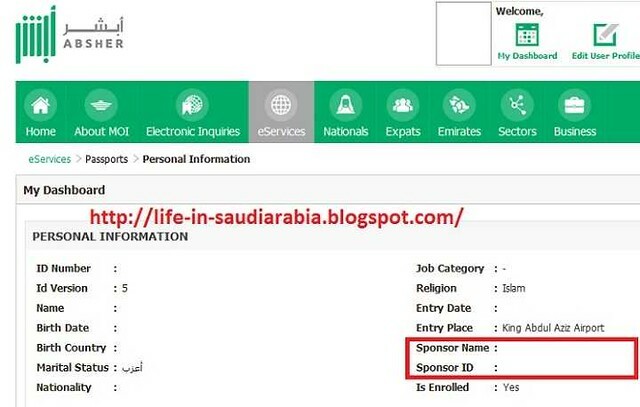 While filling many online forms in Saudi Arabia, you need to enter the “Sponsor ID”. Normally employees have to ask the “Sponsor ID” from the employer or the government relations officers of the company. Getting any information from them is a big deal. Few of us know that you can get it by logging in to your MOI account. The procedure is pretty simple and has been explained below. After login, you need to click on “My Dashboard” given on the upper left side of the webpage. A new page will appear where many details are mentioned. You need to click on the “MORE DETAIL” tab. A new page will appear where along with many details, you can find Sponsor Name and “Sponsor ID”. How to check if you have a court case in Saudi Arabia?